A refreshing, delicious and zesty organic citrus infusion. 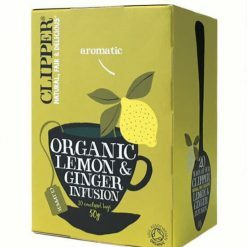 This refreshing, delicious and zesty citrus infusion has the deep and warming zing of ginger. It is naturally caffeine-free. The company works solely with producers who are striving to improve standards of welfare for workers and their families. 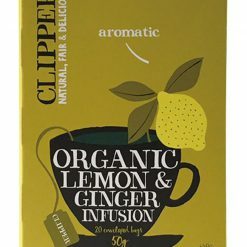 Through fair trade, Clipper Tea supports tea producers and su”nities, by paying a fair price for their tea, as well as a fair trade premium which can be invested into the business or community. This premium is often spent on improving local infrastructure and supporting community projects, such as roads, schools and medical resources.